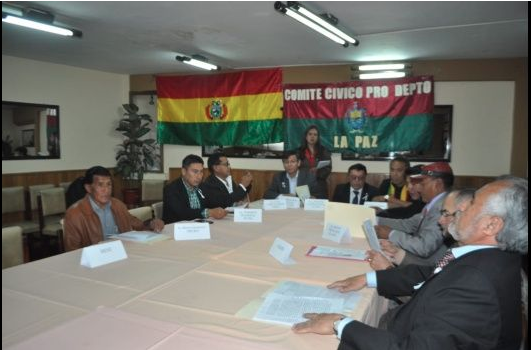 Fernando Cuéllar, president of the Civic Committee for Santa Cruz, said on Thursday that the citizens of eight regions, except Pando, have ratified the civic strike for Thursday, December 6, in defense of the results of the referendum on February 21, 2016 and in rejection of the re-nomination of President Evo Morales. Cuellar said that despite in Pando there are some shortcomings in the civic committee, platforms and the same citizenship are being organized to comply with and enforce the civic strike. “Yesterday, in La Paz, we have ratified the civic strike and we have urged the political class, universities and institutions to become active defenders of the will of the people, of the 21F in a militant way, because it is necessary for politicians to defend the decision of the people,” Cuellar said. He added that after the civic strike, they will meet again in the city of Cochabamba to define new actions, where no option is ruled out, it is possible to resume a new strike, despite the fact that citizens consider it a tough measure.